(anon). 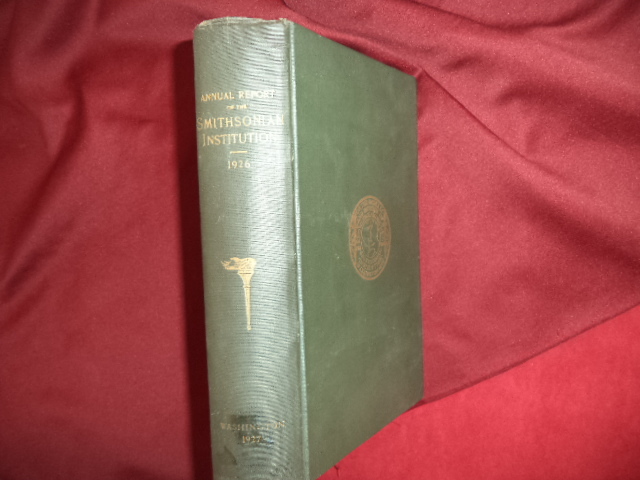 Annual Report of the Board of Regents of the Smithsonian Institution Showing the Operations, Expenditures, and Condition of the Institution for the Year Ending June 30, 1926. Photo available. Washington. Government Printing Office. 1927. Octavo. Hardcover. First edition. Illustrated in black, white and color. Topics covered include anthropological studies, science, geology, medicine, etc. Fine copy.